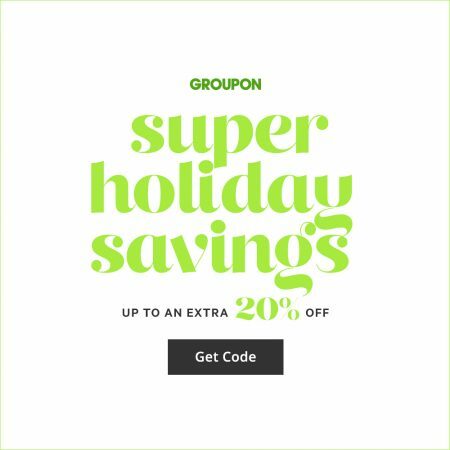 Groupon.com is having a Sitewide – Super Holiday Savings Sale. Save up to an extra 20% off. Save an extra 20% off Local deals on Groupon when you enter the promotion code SUPER at checkout! I’ve tested the code and can verify that it works. The code is valid on up to 3 local deals per customer. Also, the same SUPER promo code will save an extra 10% off Goods deals and an extra 10% off Getaway (travel) deals. This promo code is valid for 2-days only from Thursday, November 8th to Friday, November 9, 2018. This is going to be a very popular offer so don’t miss out!